The Legend of Spyro: The Eternal Night sees its official website launch at the usual address, SpyrotheDragon.com. There are plenty of new screenshots to see and a short piece about the story. As the Night of Eternal Darkness approaches, Spyro is haunted by recurring visions of impending evil. He must master powerful new abilities on an epic quest to find the Well of Souls and prevent Gaul, the Ape King, from resurrecting the Dark Master. The website also confirms that Elijah Wood, Gary Oldman and Billy West will be providing their voices for the game. 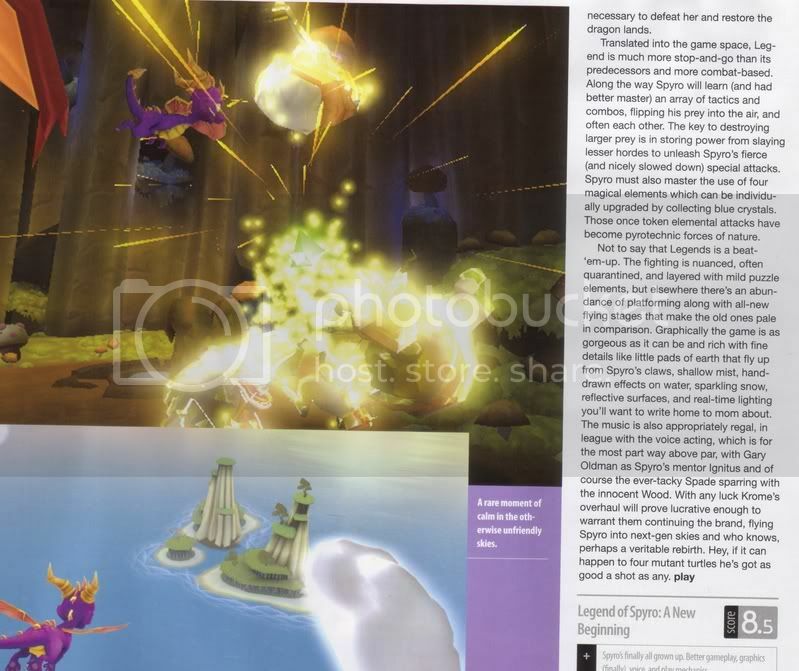 WorthPlaying brings the first 23 images of The Legend of Spyro: The Eternal Night and confirmation of it being on the PlayStation 2, Wii, DS and GBA and that it is going to be released towards the end of this year. The game is being developed by the same companies as before, Krome Studios and Amaze Entertainment. 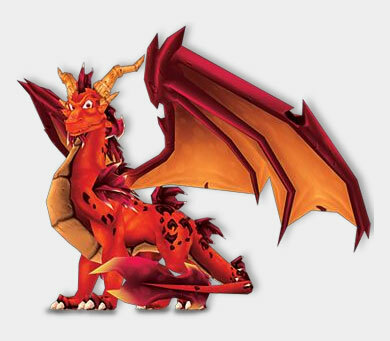 They also mention that Elijah Wood and Gary Oldman are back as Spyro and Ignitus, though there's no mention of David Spade. This is apparently the second of a trilogy of Legend of Spyro games. Thanks go to Michael for finding the article. 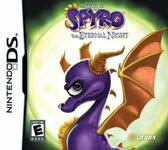 A GameBoy Advance game called The Legend of Spyro: The Eternal Night has recently appeared on the ESRB's website with a rating of E - Mild Cartoon Violence. This is the latest development in the rumours of the next Spyro game which started back in February by way of a post on Codename Revolution which mentioned a new Spyro game for the Wii. It was followed a month later with a name; Spyro: The Eternal Night. Yet another month later and a GBA game of the same name appeared on USK.de, the German software rating organisation's website with a rating which means that it is restricted for those below the age of 6. Current rumours suggest an October 2007 release date and for the game to appear on the Wii, PS2, PSP, DS and GBA. The official Spyro website, SpyrotheDragon.com has finally been updated to promote the new game, The Legend of Spyro: A New Beginning. You can find a few new screenshots, info on some of the new characters, info and videos about some of Spyro's attacks and a new TV Commercial (as well as the video previously seen on Krome Studio's website). There's also a video for the Mobile version of the game as well as some new screens for it, if you're interested in that. It's just about as close to the release date as you can get, The Legend of Spyro: A New Beginning should be available in North America now if not tomorrow. The second review from another magazine. This time it's the turn of Nintendo Power who have given the GameCube version of The Legend of Spyro: A New Beginning the rather average score of 5.5/10, seemingly not quite as positive as the previous review from Play Magazine. Unfortunately the end product fails to return the purple hero to his former glory. The game's overly-simplistic combat quikcly grows repetitive - a problem exacerabted by levels that tend to drag on and on without enough variety to keep things interesting (the flying stages are nicely done, but they're too few and far between). And although Spyro has an auspicious arsenal of elemental breaths at his disposal, the game doesn't do enough to take advantage of them. On the bright side, A New Beginning does boast some impressive production values, particularly in the audio department. The soundtrack is a sweeping orchestal score that wouldn't sound out of place in a Hollywood epic, and most of the voice acting is top notch - Elijah Wood puts in an especially praiseworthy performance as Spyro. Thanks go to Neal for this scan of the review. Play Magazine has given the first review of The Legend of Spyro: A New Beginning and it's a positive one, awarding it a score of 8.5/10. Graphically the game is as gorgeous as it can be and rich with fine details like little pads of earth that fly up from Spyro's claws, shallow mist, hand-drawn effects on water, sparking snow, reflective surfaces, and real-time lighting you'll want to write home to mom about. Thanks to GnastyRatchet you can see scans of both Page 1 and Page 2 of the review which includes a couple of screenshots and a large picture of Ignitus. Krome Studios have redesigned their website and along with it they have five new screenshots and a brand new trailer (apparently shown at E3) (which has since been removed) for The Legend of Spyro: A New Beginning which shows Ignitus, Spyro, Sparx and what might be Cynder along with a lot of new footage of Spyro fighting things. 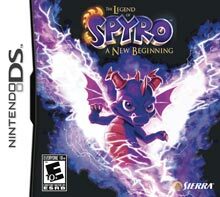 The Legend Of Spyro: A New Begining takes the world famous Spyro The Dragon back to the beginning, in his first ever adventure! 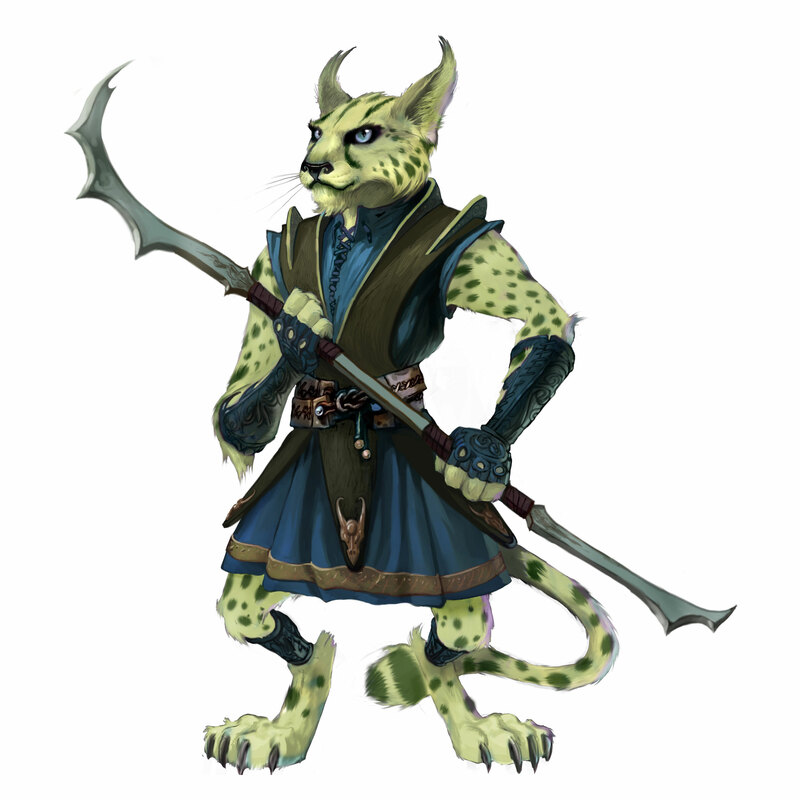 Find out what makes him such a special creature as he masters powerful elemental breath attacks, battles enemies with devestating melee combat moves and levels up his abilities to become the most powerful dragon the world has ever seen! Forget everything you thought you knew about Spyro, this really is A New Beginning. They've also got some stuff for their other new game, Hellboy, if you're interested in that. Also removed for some reason. Thanks go to fearthehorns for spotting it. IGN have posted a couple of previews for the console and DS versions of The Legend of Spyro: A New Beginning. The long range ice attack, for instance, will blast out frozen shards that ricochet around the room. Earth attacks can unleash tornadoes, and some of the fire attacks can set enemies on fire. Should the foes engulfed in flame bump into their kin, they'll set the unlucky gent aflame as well. They also have several new screenshots for both versions along with four new videos of the game. Also with screenshots are Amazon who have a few more DS screens. Thanks go yet again to GnastyRatchet for finding the new console screens on IGN and for pointing out the videos. The The Legend of Spyro: A New Beginning's boxart has now appeared on several video-game shop websites such as GameStop and GAME (it was previously seen wonky here) replacing the crudely constructed placeholders. It features the same picture as the poster at Comic-Con and the game is rated as E10+ and 3+ in Europe. Another Developer Interview, this time by Sliced Gaming with Scott Laing of Amaze Entertainment. 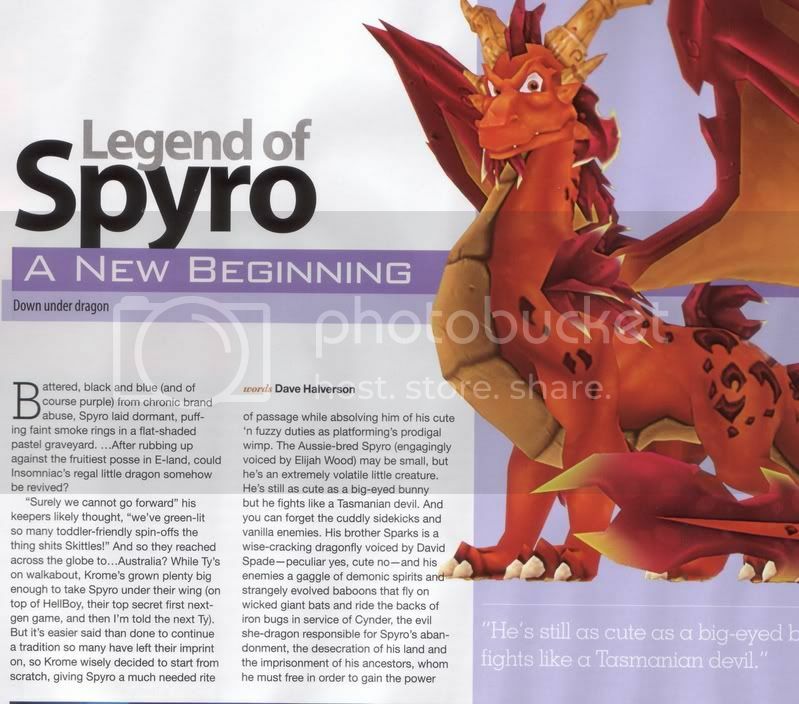 The five page interview is mainly about the DS version of The Legend of Spyro: A New Beginning and talks about the features that they are implementing in it. As well as that Scott confirms the status of the game's continuity within the series. NS: So, this is a prequel of sorts, right? SL: Well, "prequel" implies that this story somehow leads up to the story presented in earlier games, but it doesn't - this story completely replaces any story that has come before. It's kind of like what Frank Miller's Dark Knight was for Batman. I'd say this game is certainly a set-up for future titles that will come later. Unlike the early Spyro games (which are near and dear to my heart), there will be continuity and multi-title story arcs from game to game. Also take a minute to view the first DS screenshots of the title. The screenshots have been removed, you're too slow. And yet again, all thanks go to GnastyRatchet for finding the interview.